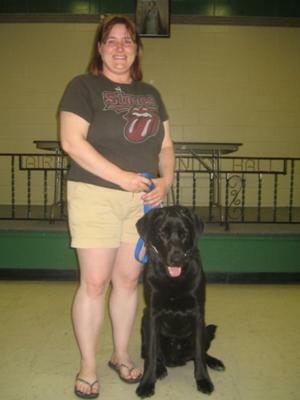 I looked for a while before choosing a trainer and I'm so glad Shannon with Precision K9 was the one I chose. Going on walks with Bear was like working out at the gym. He is my black lab cross, who is more like the size of a Great Dane and the power of a Mastiff. Thanks to the terrific lessons and methods we learned in the Novice Level dog training course, now even my 5 yr old daughter can walk him! What a difference - big uncontrollable Bear turned in a controlled pet. Can't wait to start intermediate level. Shannon keep up the good work...you saved my arm, to say the least! Thanks for sharing with us, Lori. Glad to hear that Bear has made such an improvement that your little girl can walk him! Keep up the great work!